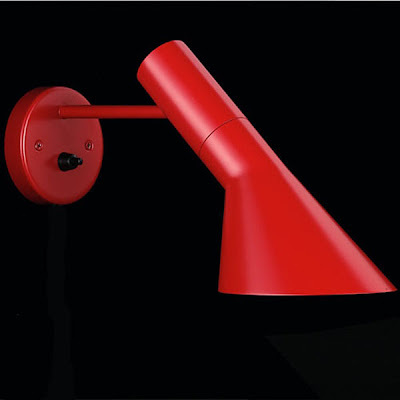 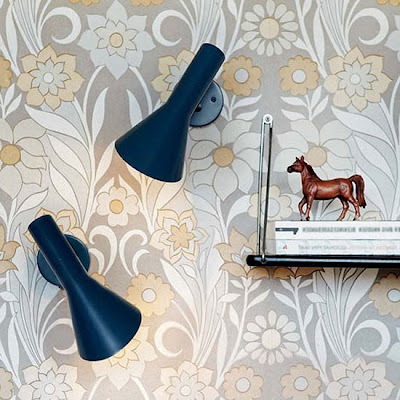 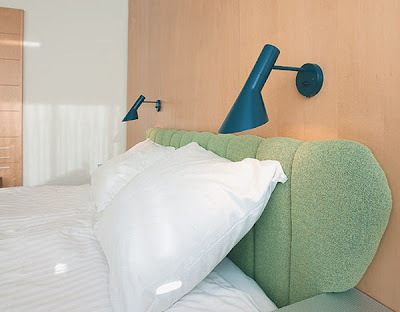 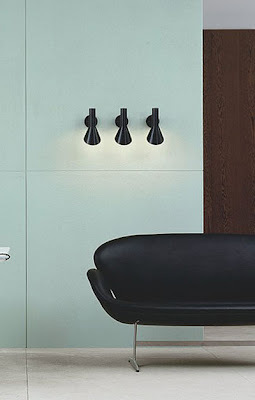 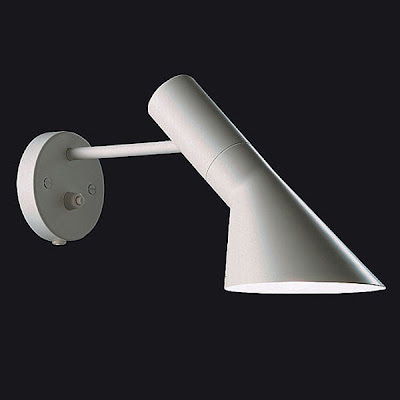 The AJ Wall lamp was designed by Arne Jacobsen for Louis Poulsen. AJ wall sconce creates direct and angled illumination. 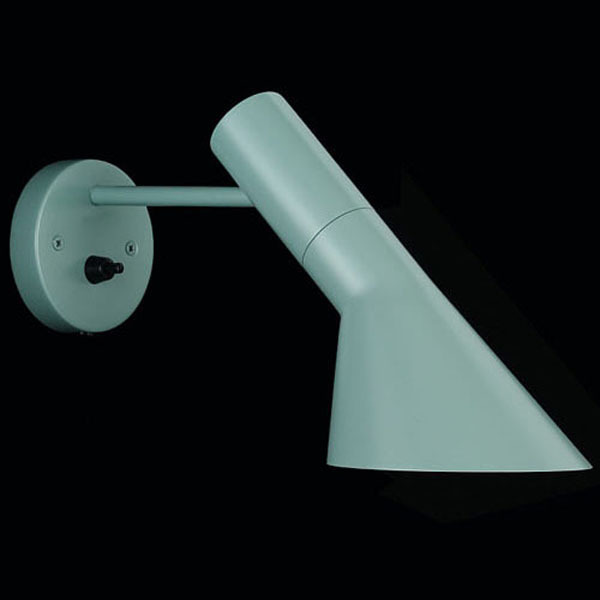 The lighting characteristics make it suitable when placed in a situation where distinct and directed illumination is required. The head can be rotated 60 degrees. The AJ wall light comes in variety of colors, which allows for perfect blending or complimenting of the room decor. The available colors are: black, white, graphite grey, light blue, light green, petroleum, red and sand.